Apex Legends is the latest free-to-play battle royale game to hit the market, coming out early in February with no marketing or prior announcements. Originally intended to be a sequel in the Titanfall series, Apex has dropped the giant mechs in favour of team-based combat on the ground, and it’s surprisingly good considering the stealth release. 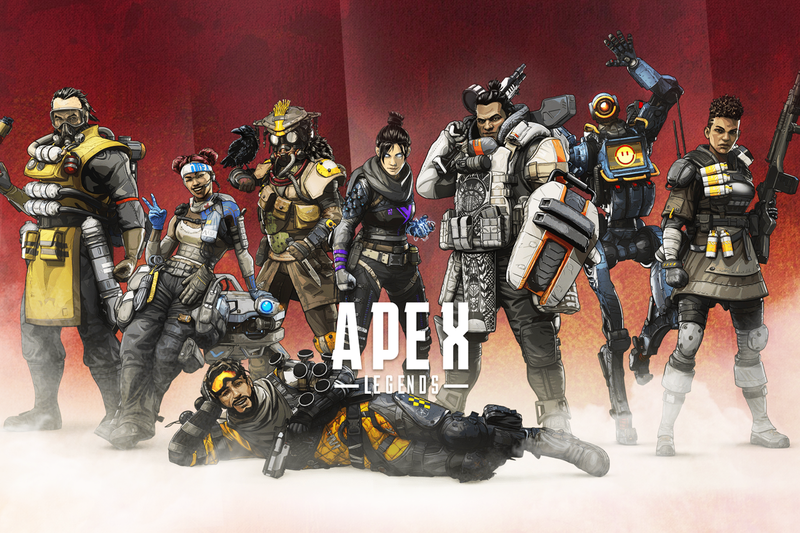 Blackout, PUBG, and Fortnite have secured a majority of the market, but Apex is already carving out a piece of the pie with 25m players worldwide. I decided to give it a try on the second day, dropping into a hectic world where half of my teammates didn’t know how to aim properly, and the other half seemed to already have mastery of the game. Aside from a brief tutorial, there’s nothing stopping anyone with an internet connection, Gold/PS+ and a console from hopping on, so my first few games involved running around like a headless chicken while following more experienced teammates. It was taking a while to adjust, so I convinced a couple of friends to join in, downloading it in time for day three. Neither of my friends had bothered to pay attention to the tutorial, so I was forced to talk them through what the tags meant, and how they worked. One flat out refused to continue playing because of the complexity involved with pressing R1, while the other failed to grasp the concept, although he probably wasn’t listening in the first place. If you hadn’t guessed, we struggled for a few hours, barely making it to the top 10 once or twice. A dedicated team is ideal if you want a chance at being the kill leader, which comes with bragging rights and your name lit up throughout the match. Sadly, even my two useless friends were more help than the average teammate you’ll find online, but the player base is getting better as the game slowly begins to mature. Gunplay is fast and fluid, with 20 weapons found dotted around the map and dropped in via supply drops during games. Movement feels weighty and the guns do a fair amount of damage, so it’s less frustrating than facing level 2/3 armour in Blackout. The map is compact compared to everything else, so there’s always a good chance that you’ll see an enemy team as you move into the next circle. It looks and feels great, and the shooting is as tight as you’d expect from Respawn Entertainment, who made the classic Call of Duty 4: Modern Warfare. It really depends on what you’re looking for from your battle royale game. If you’re sick of Fortnite and PUBG, and team-based action sounds compelling, there’s a good chance that Apex Legends could be right up your street.